Today in History–April 26–the Library of Congress features William Shakespeare, baptized on this day in 1564 in Stratford-upon-Avon, England. Shakespeare’s birthday is traditionally celebrated on April 23, because babies generally were baptized about three days after birth. 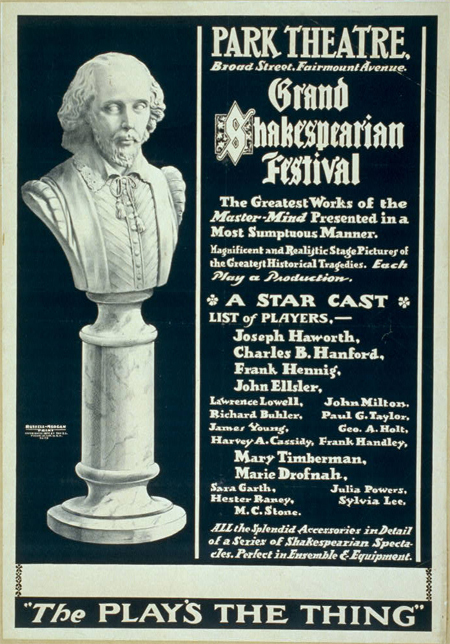 Learn about the Folger Shakespeare Memorial Library by visiting the Today in History section, then click the links below to access Shakespeare’s works and other resources related to the bard.